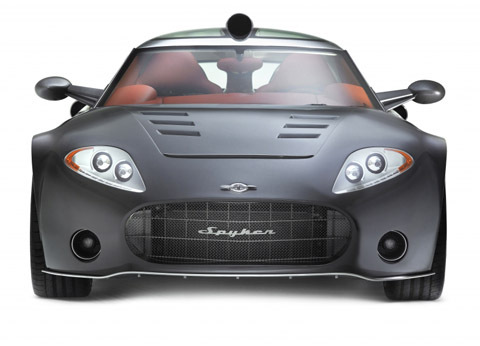 Spyker Cars is a performance car manufacturer who specialized in premium sports cars. 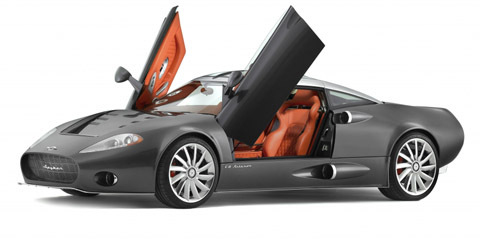 They recently announced the release of the 2008 Spyker C8 Aileron in Switzerland. Itâ€™s a completely aluminium car with a long wheel base model and comes with either an automatic gearbox or manual gearbox. 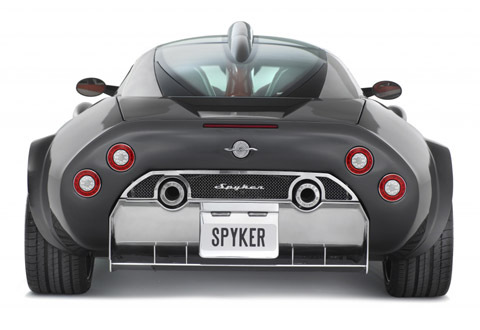 The Spyker can reach a top speed of 187 Mph and hits 0-60 Mph in only 4.5 seconds making it one of the fastest street legal sports cars. The engine has 400 BHP and is a state of the art engine for performance cars. The wheelbase on this model increased by 4.5 inches which means the doors are always bigger allowing for comfortability. The car comes in 14 different base colors but the car can be painted any color you choose for an added fee. There are also some awesome LED lights used on the car to add to the attractiveness. Everything has been fully customized on this new release of the Spyker including but not limited to the interior, power train, audio system, wheels, and anything else you can imagine. The car has an amazing look to it and it looks like something from out of this world. The car features a slim design, and the doors open upwards rather then the traditional method. The inside of the car has custom leather seats as well as an amazing audio system with speakers in the doors added. The audio system can be used by Ipods and all the other major music players on the market. The Spyker C8 Aileron is one of the biggest and most anticipated releases of 2008 and they have made a solid vehicle again. There is also a GPS system added on the car and many other features which make it a car worth buying in 2008. Unhappy for the large examine, but I’m loverlike the new Zune, and hope this, as easily as the fantabulous reviews remaining grouping hit codified, present help you if it’s the hand prize for you.